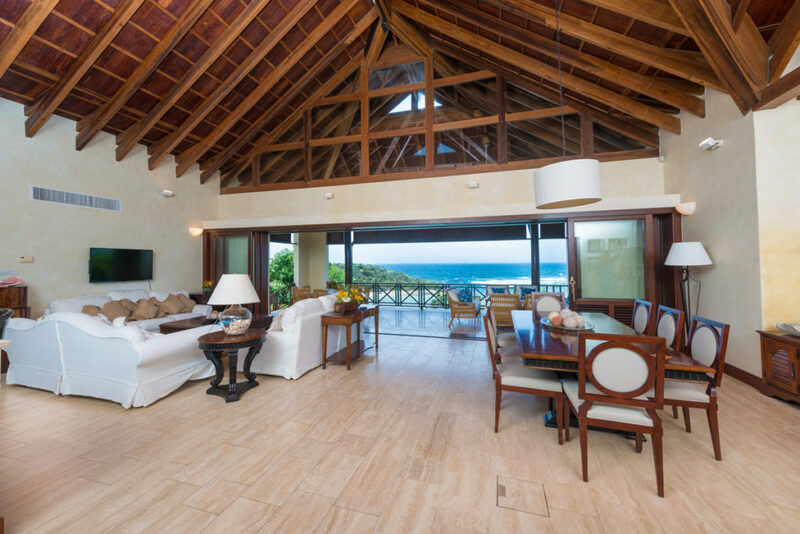 Through the main entrance you enter the foyer and then into the delightful and large great room with beautiful views of the turquoise sea. You can relax in the air-conditioning or open the huge glass sliding doors which when fully open bring the outside in and allow you to enjoy the gentle tropical breezes. 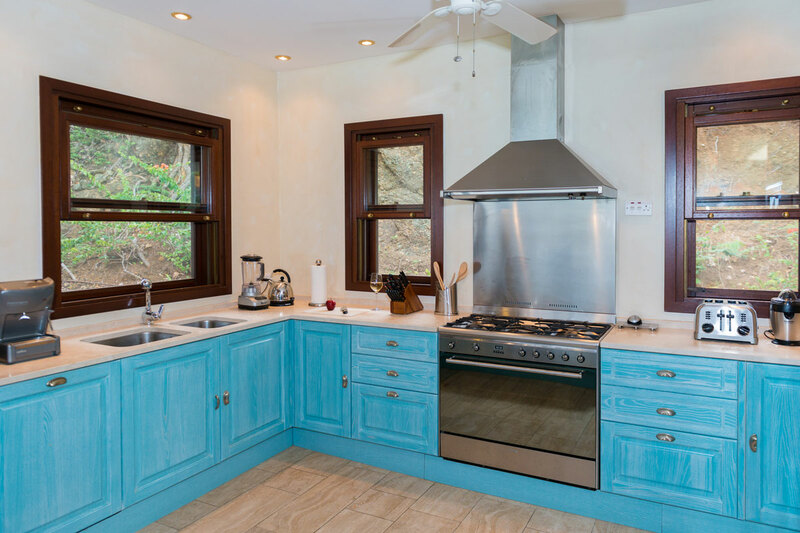 The floors are Travertine and the grand vaulted ceiling done with pickled Tongue and Groove and the spacious kitchen comes with stainless steel SMEG appliances and is very well appointed, conveniently located off the kitchen are the laundry room and service bathroom. 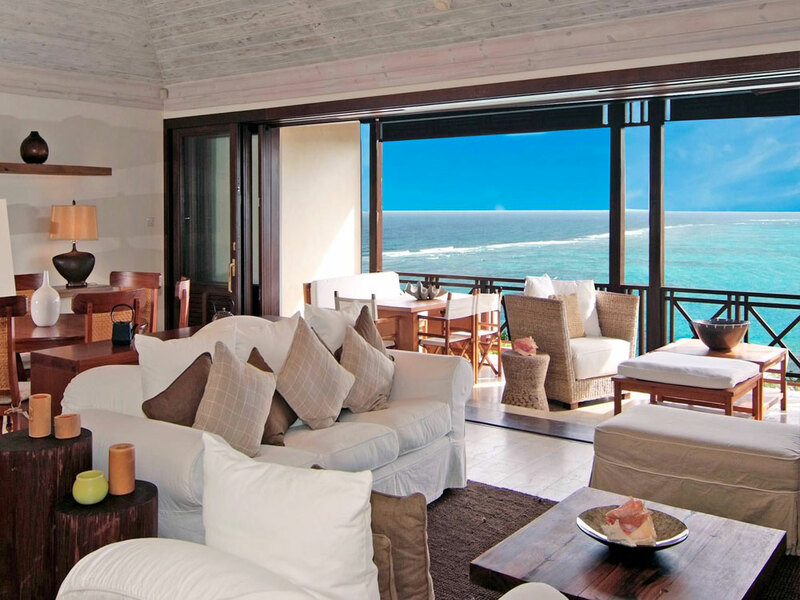 Three steps up from the great room, Little Blue Ocean provides an office area adjacent to the master bedroom. 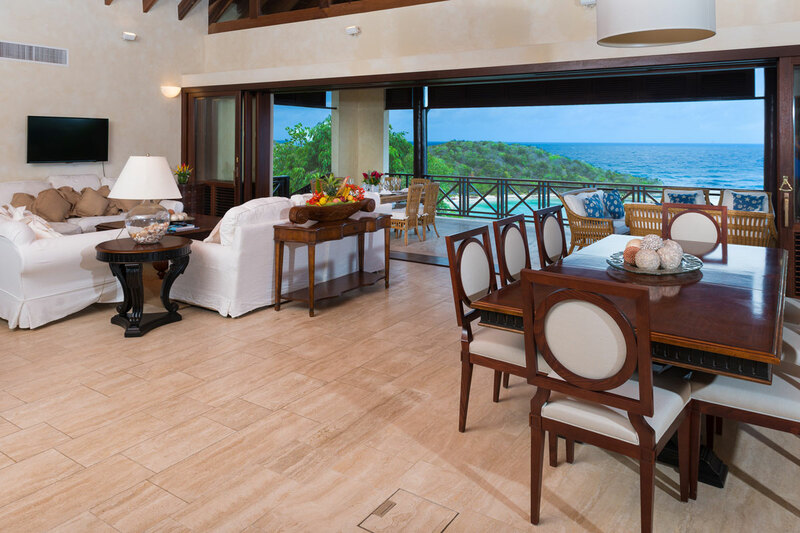 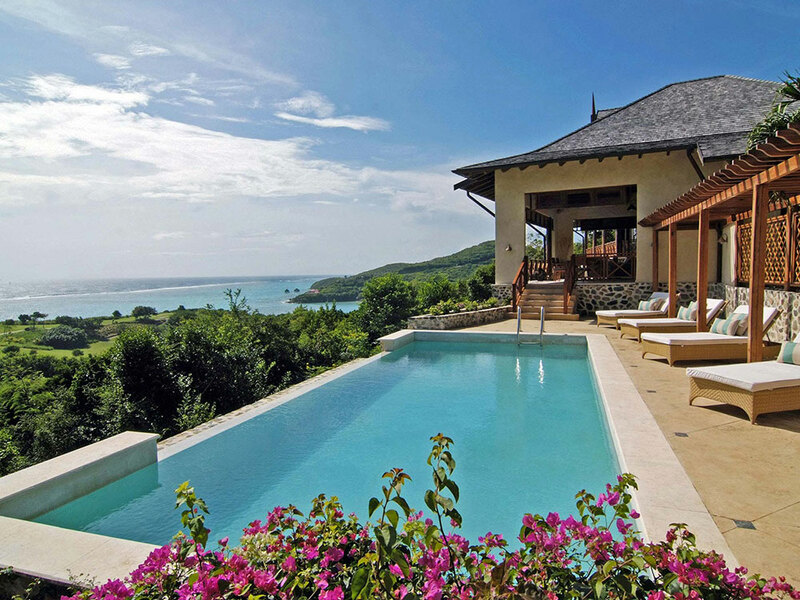 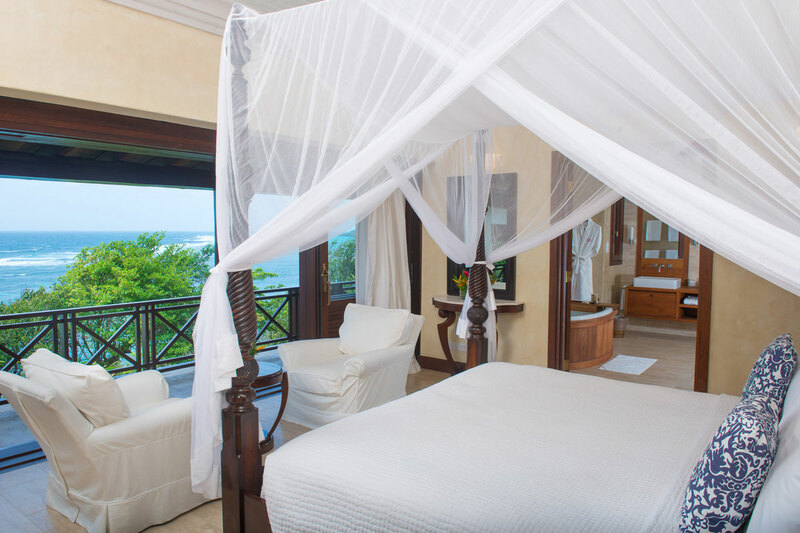 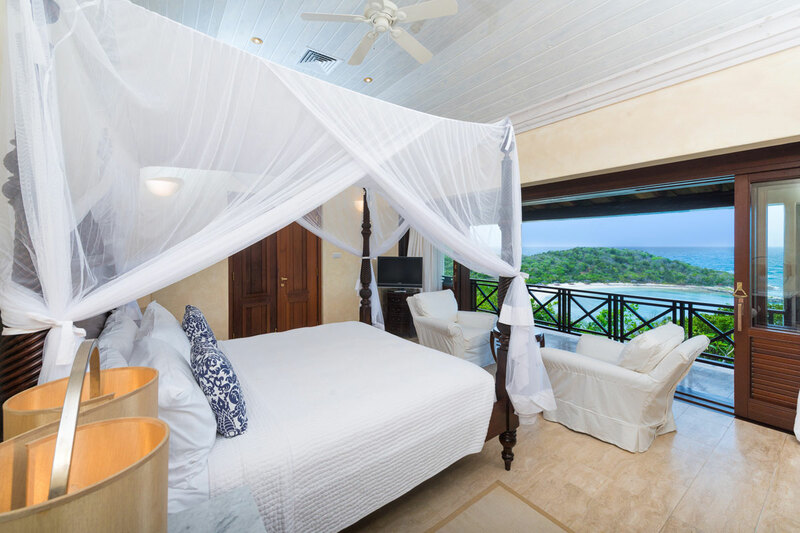 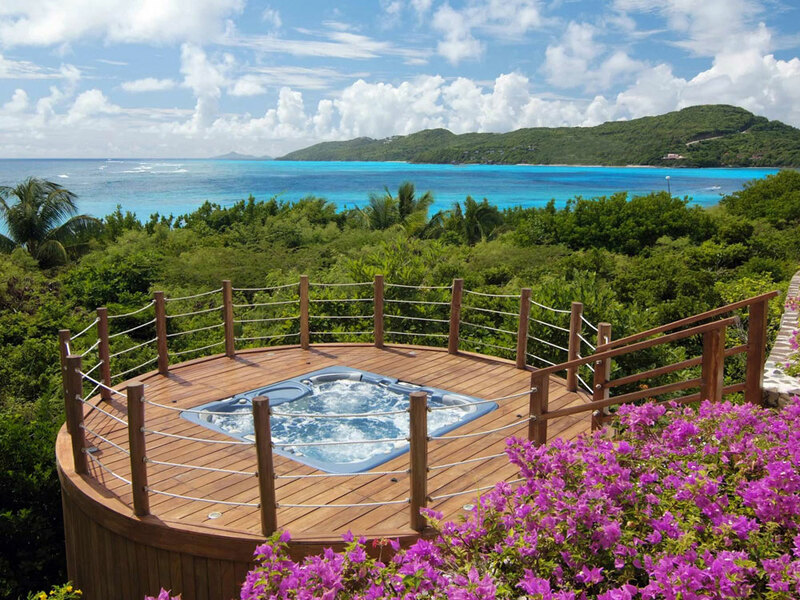 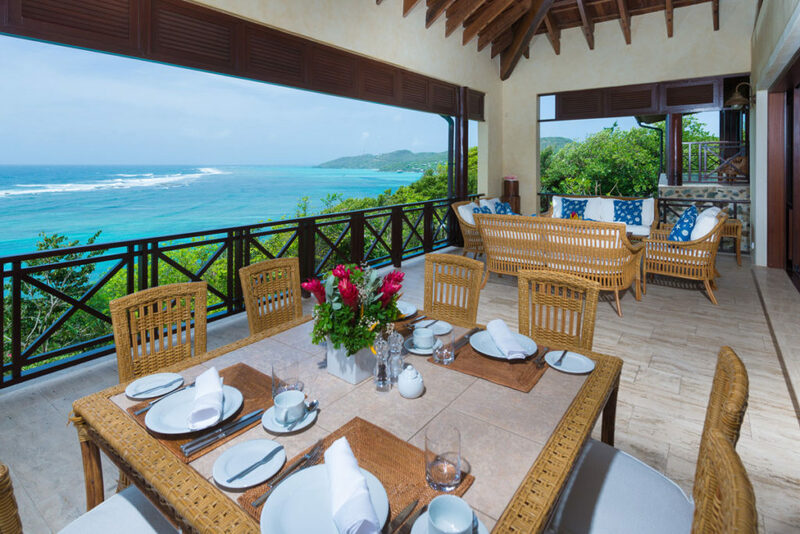 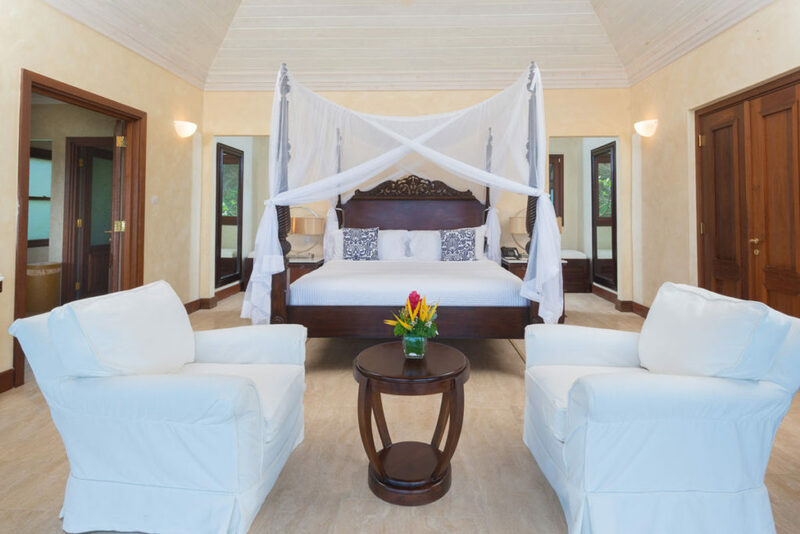 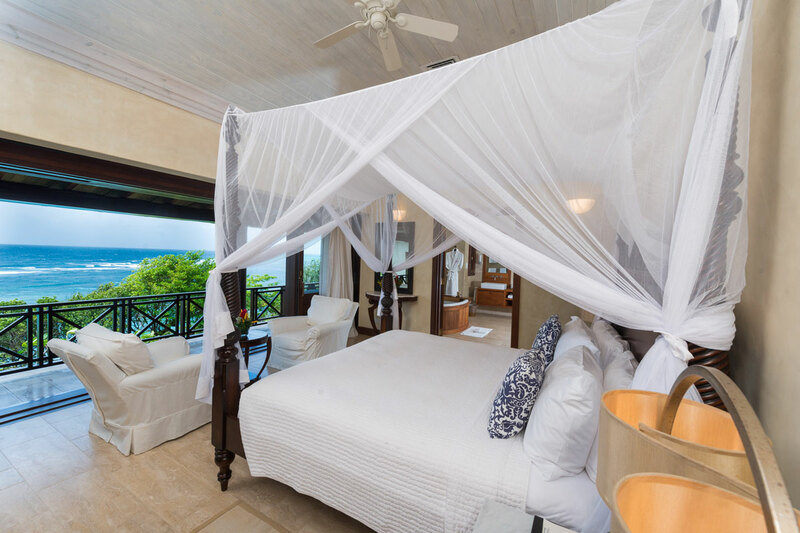 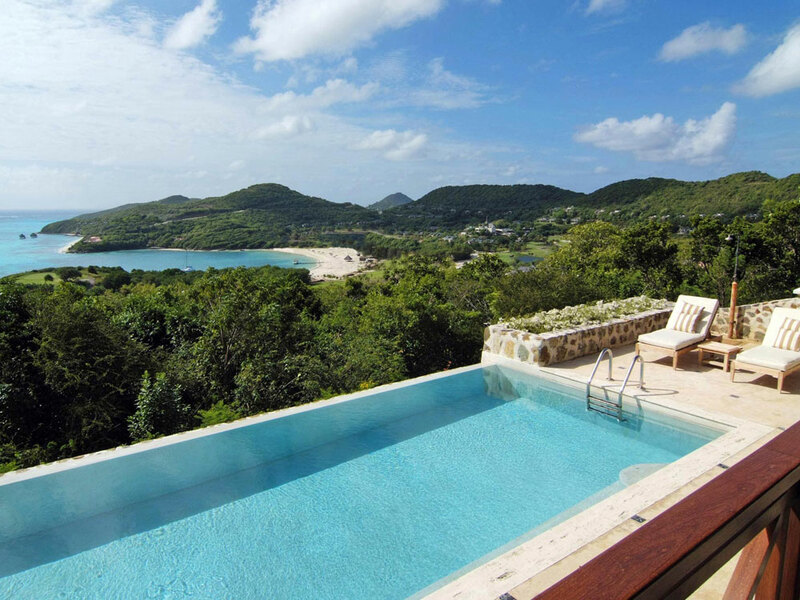 The master bedroom has a sizeable walk through closet and the master bedroom is set up to enjoy the picturesque scenery of the ocean and The Grenadines Estate Golf Course. 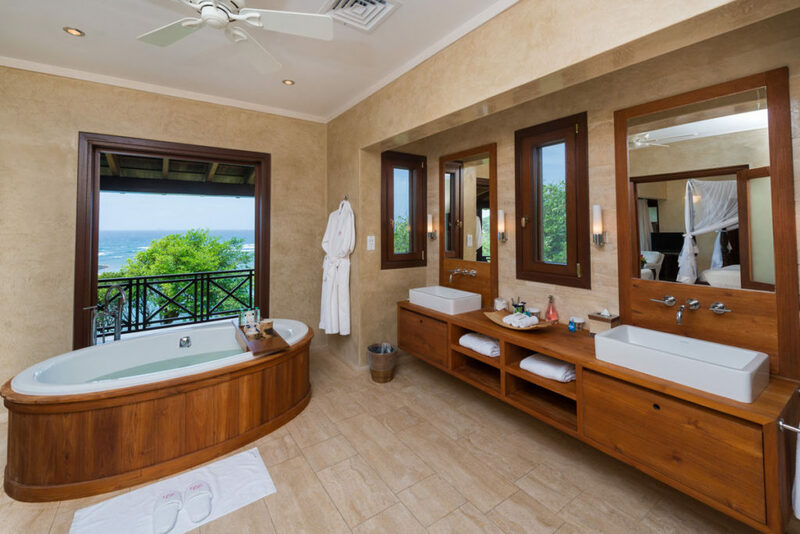 A few steps down from the great room are two more bedrooms which both have en-suite bathrooms, large closets and a private veranda overlooking the lush landscape of the golf course and ocean. 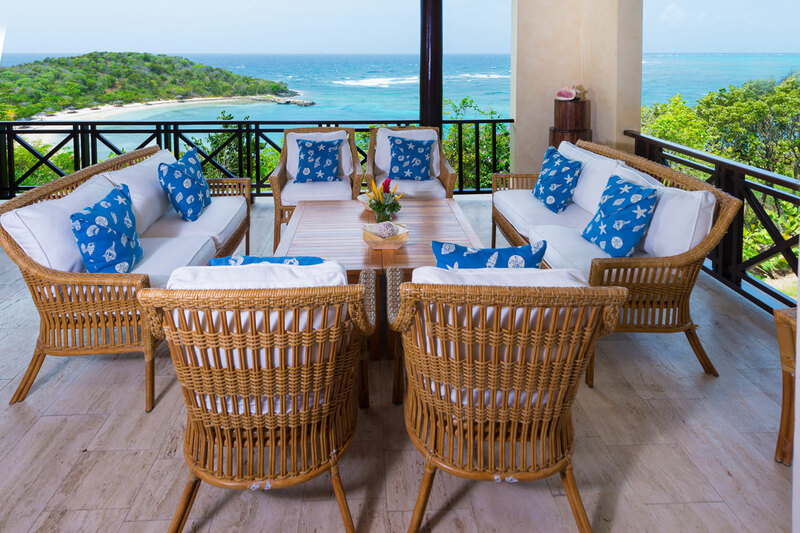 You will experience elegant yet comfortable indoor and outdoor living with an ambiance that is both relaxing and romantic.